We will walk en-masse to the start, which is at Victoria Quay, by the Welsh Bridge. There will be a kit wagon for shoes, sandals etc. to be taken back to the boat house, but try to bring as little as possible. People will be using the quay, so please DO NOT OBSTRUCT the entrance and when using the entrance and walkway, please follow instructions of Shrewsbury Masters members who will direct you. Whilst waiting to enter the walkway, please congregate as directed, your co-operation in this will help to ensure future use of the quay. Swimmers are counted onto the pontoon one wave at a time and may then enter the water when told to do so. The water depth mid-river below the start is very shallow so swimmers should swim on the right hand side for about 200m to avoid the shallow water. This area will marked by a canoe. Swimmers can then move to the left hand side, which will shorten the bend in the river. Canoes will be in the center of the river, keep them on your right. At the first buoy 700m swimmers should swim past it on your right hand side before swimming to the pontoon, 1500m swimmers continue to the Kingsland Bridge and the turning point. Avoid swimming in the center of the river. 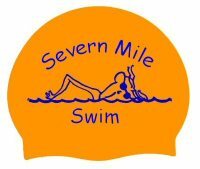 Swimmers should swim around the turn marker in a clockwise direction before swimming upstream on the left hand side of the river. KEEP AWAY FROM THE CENTRE OF THE RIVER – There will be other swimmers approaching in the other direction. Towards the end of the event, the local pleasure cruiser may be making their way back upstream. Swimmers will be heading back upstream and it is vital they remain on the left hand side of the river. Canoists will stay between the cruiser and swimmers for safety. A swimmers time will be taken from when you touch the pontoon edge you should then continue along the pontoon to the mid-section where they can exit the water. Please make sure you leave the floating pontoon as soon as you are out of the water as it may collapse if too many people stand on it! If you get into trouble turn on your back and raise your hand in the air – a canoeist will come to you. Please do not attempt to climb onto the canoes as they will capsize, hold onto the back of the canoe and they will tow you to shore. If you do not finish the race for whatever reason, please ensure that you or a responsible adult let the time keepers at the finish know, as we count how many leave the water and if any one appears to be missing, a search will be started. If anyone who starts the 1500m race feels unable to continue they can pull out at 700m, we will give you a time for that distance and include you in the results but you will not be eligible for any prize.